Under the direction of Elberfeld the Yankees played in much better form this afternoon against the Athletics, seeming to imbibe some of the snap of the "Tabasco Kid." the fight In the American league will be much harder. 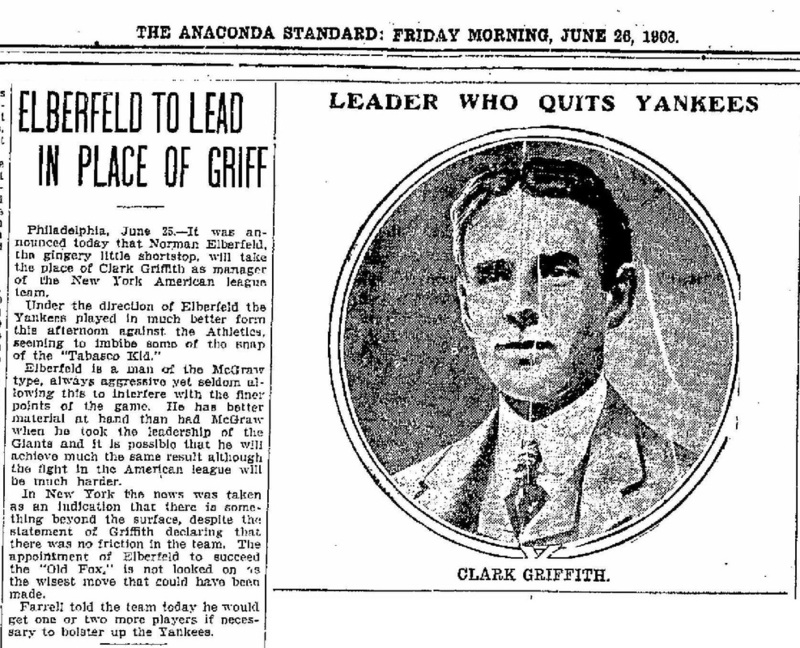 statement of Griffith declaring that there was no friction in the team. The appointment of Elberfeld to succeed the "Old Fox," is not looked on as the wisest move that could have bean made. Farrell told the learn today he would get one or two more players if necessary to bolstar up the Yankees.